Researchers say Ross 128b could potentially harbour life, as it has a similar mass to that of Earth. 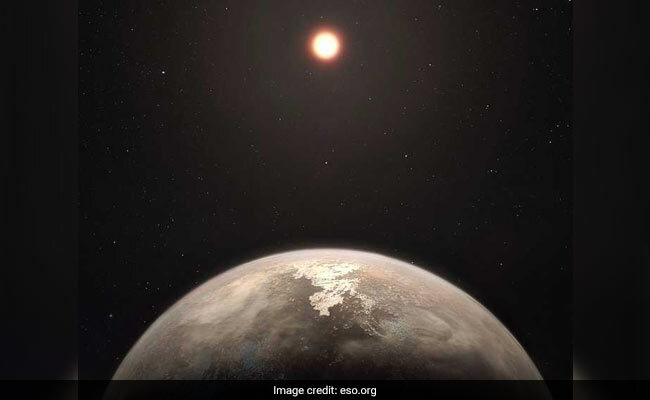 Paris, France: A new extrasolar system planet can be added to a handful of fellow exoplanets which could theoretically support life, the European Southern Observatory said Wednesday. The ESO said it had discovered the planet, Ross 128b, orbiting a star within the constellation of Virgo and it is comparatively 'close' at just 11 light years outside the Solar System. One light year is equivalent to 9.46 trillion kilometres (5.85 trillion miles). But in inter-galactic terms that is not so far, says Xavier Bonfils, an astronomer for the French CNRS research centre at the Grenoble Observatory for Sciences of the Universe. "Ross 128b is very close, which will allow us to see it with a telescope such as E-ELT (European Extremely Large Telescope) in construction for 2025," Bonfils told AFP. Researchers say Ross 128b could potentially harbour life, as it has a similar mass to that of Earth -- a multiple of 1.35 -- and "its surface temperature could equally be close to that of Earth". Such conditions could potentially support liquid water, indispensable to life as we know it. The next step will be to see if the atmosphere contains traces of water, dioxygen or methane. Several thousand exoplanets have been discovered to date but only around 50 are considered to be potentially habitable.